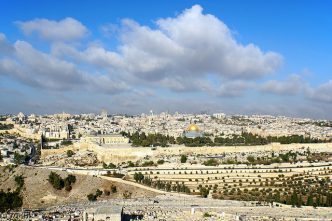 With headlines dominated by Canberra’s policy ‘step-up’ in the Pacific in response to China’s rapidly expanding influence in the region, it seems puzzling that the Morrison government would risk disrupting relations with two of its strategically like-minded neighbours—Indonesia and Malaysia—over the potential relocation of Australia’s embassy in Israel from Tel Aviv to Jerusalem. The government’s willingness to follow US President Donald Trump’s lead on Jerusalem and complicate its relationship with Indonesia and Malaysia—two strategic partners committed to preserving a rules-based order and peaceful dispute resolution in the Indo-Pacific—suggests that domestic politics may have trumped serious foreign-policy considerations in Canberra. Indonesian ministers, who are generally more guarded in their criticisms of China, publicly rebuked Beijing in 2016 following a series of clashes between Indonesian and Chinese authorities over Chinese vessels that were fishing illegally in Indonesia’s exclusive economic zone in the South China Sea. In July 2017, the Indonesian government officially renamed the seas around the Natuna Island chain as the ‘North Natuna Sea’. Meanwhile, public resentment against a perceived increase in the numbers of Chinese workers and concerns about the level of debt held by Indonesian state-owned enterprises have accompanied Indonesia’s infrastructure boom. As founding members of ASEAN, both Malaysia and Indonesia have long been cognisant of the risks posed by China’s increasing strategic and economic weight, arguably much more so than Australia, which has only recently responded decisively to increasing Chinese influence and perceived US retrenchment from Asia. Maritime Southeast Asian states in particular have sought to tame Beijing’s more hegemonic impulses by enmeshing it within a plethora of regional defence, political and economic mechanisms. In Malaysia’s case, there’s little doubt that lingering uncertainties about China’s longer term strategic intentions in the South China Sea have underpinned its unbroken commitment to the Five Power Defence Arrangements, despite previous spats with Australian prime ministers. And, although Treasurer Josh Frydenberg’s taking offence at Mahathir’s past statements about the Jewish faith was indisputably legitimate, one wonders whether it’s sage for a senior Australian minister to publicly link vital foreign policy interests to their personal religious identity. Mahathir’s reputation for outspokenness is well understood in Canberra, but the direction he’s taking Malaysia after the outrageous graft and avarice of the 1MDB era aligns with Australia’s national interests in improved governance and pushing back against China. In addition, Mahathir’s remark that a decision from Canberra to relocate its embassy to Jerusalem could escalate the regional terror threat was also reflected in remarks by Indonesian politicians and is, in itself, not particularly contentious. From the perspective of Australia’s bilateral relationship with Indonesia, Prime Minister Scott Morrison’s initial announcement of a review of the embassy’s location on 16 October could not have been more poorly timed. First, it coincided with Palestinian Foreign Minister Riyad al-Maliki’s visit to Indonesia to celebrate ‘solidarity week for Palestine’. The five-day schedule of special events included the official opening of the ‘Palestine walk: road to freedom’ in West Java and the inauguration of regular bilateral meetings. 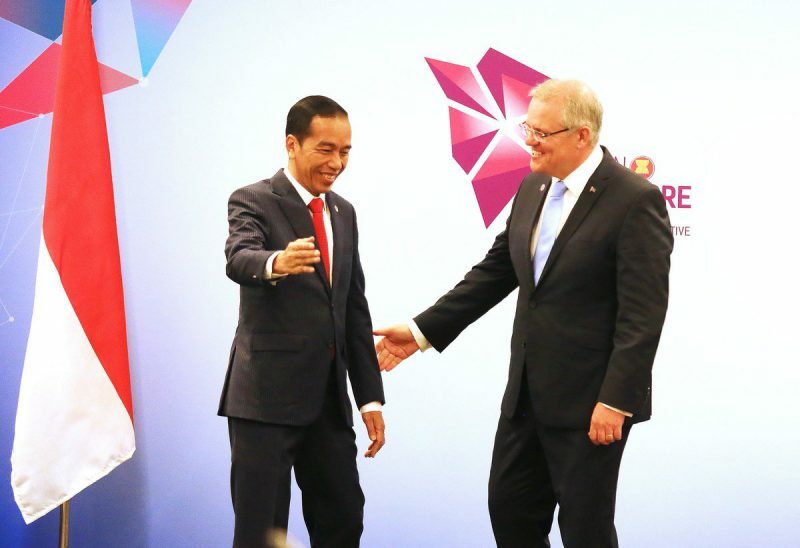 Second, as the media has extensively reported, Australia and Indonesia were widely expected to sign the Indonesia–Australia Comprehensive Economic Partnership Agreement (IA-CEPA) in November. Morrison’s initial reassurance that the IA-CEPA was ‘on track’ based on comments from Indonesia’s trade minister appeared naive, given that the trade portfolio isn’t a senior cabinet position—as foreign policy bureaucrats in Canberra well understood. A considered policy response on the implications of Australia’s Jerusalem announcement for the IA-CEPA was always an issue to be determined at the presidential and vice-presidential levels on the advice of the retired general Wiranto, who is coordinating minister for political, legal and security affairs. Wiranto, in turn, takes advice from the foreign minister, Retno Marsudi. The IA-CEPA was subject to protracted delays because of previous bilateral tensions over espionage allegations and the executions of ‘Bali nine’ drug smugglers Andrew Chan and Myuran Sukumaran in 2015. That made it the obvious instrument for signalling displeasure while Australia’s policy position on Jerusalem remained unclear. 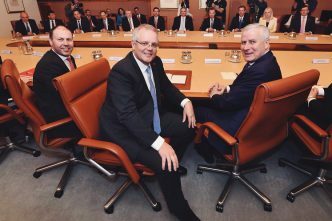 Of course, Morrison was right in saying that Australia must determine its own foreign policy, but in considering its policy options for the Middle East, Canberra must also accept the policy consequences closer to home. The Palestinian issue is visceral for Indonesian Muslims and, indeed, Indonesia’s foreign policy establishment. For more than five decades, Indonesia has been a staunch supporter of Palestinian statehood, a policy driven by the country’s constitutional mandate to support decolonisation and self-determination. Indonesia is the world’s largest Muslim majority state and a key member of the Organisation of Islamic Cooperation, and perceived repression and injustices committed by Israel against the Palestinian people continue to resonate strongly in the Indonesian polity. With Islamic conservatism on the rise in Indonesia and with critical parliamentary and presidential elections approaching for President Joko Widodo in April next year, Canberra has not only put itself in a difficult position with a strategic partner in the Indo-Pacific, but also potentially wedged Indonesia in terms of its own domestic politics. Rival presidential candidate Prabowo Subianto and running mate Sandiaga Uno have entered the fray, describing the IA-CEPA as ‘ridiculous’ and calling for it to be scrapped. Cadres from their Gerindra party have characterised the Jerusalem policy as ‘insensitive of Indonesia and Asia’. On the link between the IA-CEPA and a decision on Australia’s embassy in Israel, Canberra should take a salutary lesson from the contentious Indonesia–Singapore defence cooperation agreement. Despite being signed by the executive in 2007, the agreement languished for 11 years in Indonesia’s parliament, which refused to ratify it in a sign of displeasure over an extradition treaty. 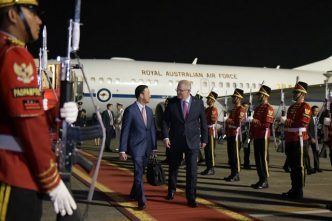 Ironically, Canberra could do better to emulate Beijing’s highly sophisticated and coordinated approach to regional grand strategy, which involves mobilising all arms of state power. 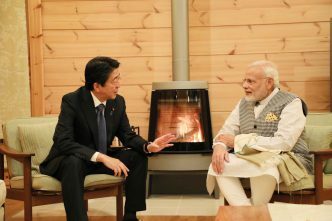 As it stands, the government’s approach lacks coherence on issues of vital regional concern. Greta Nabbs-Keller is a research fellow at the Centre for Policy Futures and adjunct lecturer at the School of Political Science and International Studies at the University of Queensland. Image courtesy of Scott Morrison on Twitter.